While packing up my room today, I found a lot of cool things to share with ya'll, including how I "upcycled" the promotional Highlights magazines that I used to receive almost daily at my old school. I used to take the free sheet of stickers out and then put the magazine in my treasure box, but my kiddos never picked them, and I never wanted to throw those freebies out because they are filled with lots of fiction and non fiction readings. So, I turned them into a workstation! My third graders, on the day we did workstations, usually had a choice to do an activity from our magazine/newspaper tub. A tub that I filled with my "upcycled" Highlights! To "upcycle" my Highlights collection, I had a parent helper tear out the stories/articles from the Highlights magazines I had in my treasure box. Then I had my parent helper glue the articles/stories onto 12 x 18 construction paper. 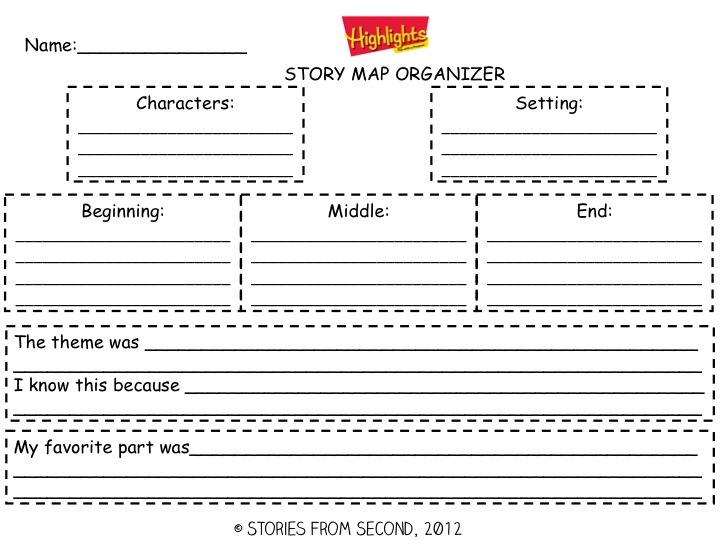 All of the non fiction articles were glued on yellow paper and labeled NF and all the fiction stories were glued on green paper and labeled F.
On the weeks when we read a fiction story from our Treasures book, a workstation choice was to read a fiction story from Highlights and then fill out an accompanying organizer. 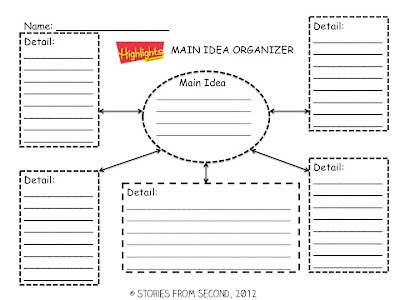 On nonfiction weeks, they read a nonfiction article and filled out an accompanying organizer. 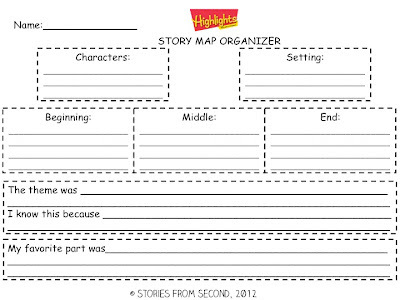 I loved using these with my third graders because the station required very little prep from me, and the graphic organizers also served as quick formative assessments on main idea and story elements. These also served as fast finisher activities or an activity to complete with parent helpers throughout the year as well. Whenever new magazines were mailed to me, one of my parent helpers would tear the articles/stories out for me and glue them on construction paper, so I was constantly adding new reading materials to the newspaper/magazine tub that didn't cost me a dime! Win, win! I stored these in a large chest of drawers outside my classroom that were dresser size last year, and I honestly didn't get to use them at all this year, but I'm excited to use them in fourth grade. 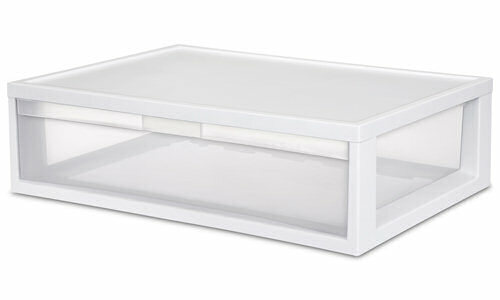 I plan on keeping them in a drawer like this and keep the recording sheets in a bin on top. Operation Moving Classrooms is almost complete, I just need to tidy up my current room, and move my extra school supplies and construction paper! Woohoo. However, once the custodians clean my room, I'll be back in there organizing because as I put my stuff in the closets, I noticed that there were several duplicates of resource books, posters, etc...but at least I'll be able to stay at home on my break until then! I've been at school everyday since we got out. Which was a week ago today! Thanks for finding my blog...now I have found you! I love your idea for Highlights. Looking forward to stalking your blog! 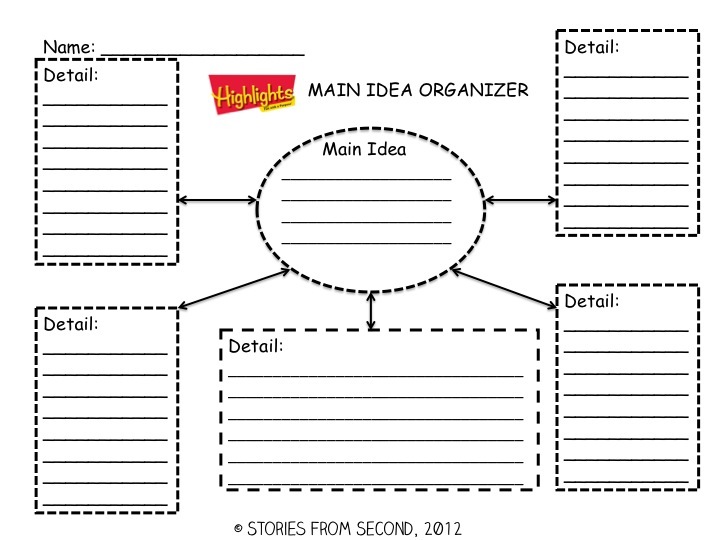 Love the graphic organizers. Thanks so much for sharing!